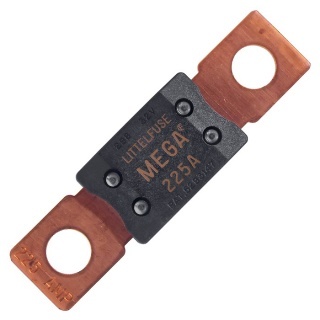 Industry standard Littelfuse 225 amp Mega fuse, for a heavy-duty auto electrical application. 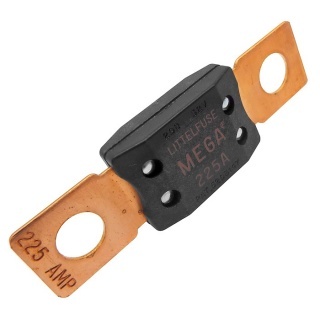 Fuse rating: 225A continuous use. 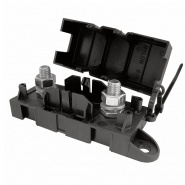 Interrupting rating: 2000A at 32V DC. 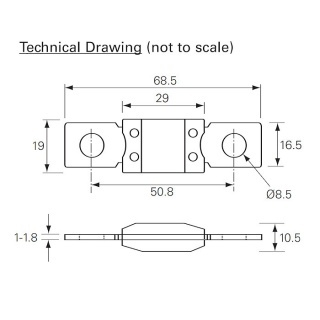 Operating temperature range: -40 to 125℃. 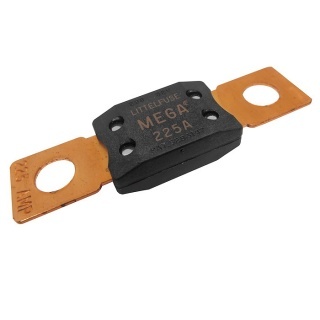 The 298 series 225A beige bolt down Mega fuse from the Littelfuse range of automotive fuses, ideal for battery and alternator protection on vehicles and industrial equipment. 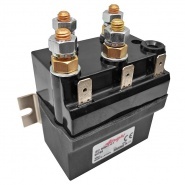 The 225A continuous rating gives high current circuit protection on auto electric equipment connected close to the battery source, including heavy gauge cables on a circuit that is passing current (always on). 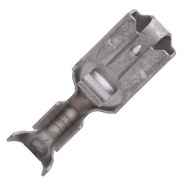 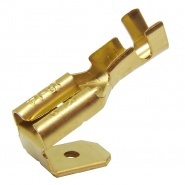 The 450A blow rating is for intermittent circuits where the copper fuse requires to heat up from cold before blowing. Standard Littelfuse blue Mega fuse for heavy-duty application, fuse rating 200A for continuous use, blow rating 400A.